Karissa speaking at Cornerstone High School. 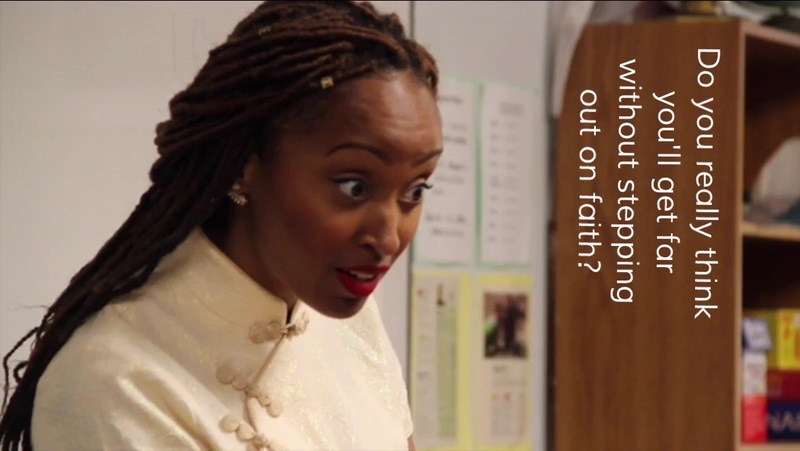 Do you really think that you’ll get far without stepping out on faith? If so, think again. My journey around the world required courage, yes. Perhaps a dose of bravery was needed too. All in all, faith was the most important ingredient. Believing in those things that were not seen was what I needed to move forward. Today, I encourage you to look beyond your environment, circumstances, and situations and simply believe for more. We all just need a little bit of faith.